Brow gel has become an important step in my makeup application because my brows are long and they curl. When I trim them I sometimes feel that the short hairs tend to stick out, so I like ensuring that I’ve done what I can to keep them down. I haven’t done a Drugstore Vs Beauty store makeup comparison so I thought why not for brow gels. I’ll be comparing Anastasia’s Eyebrow Gel to Essence’s Lash and Brow Gel. There is a huge price difference between these two products Anastasia costs about $29.00 while Essence is about $2.99. Both are brush applictors. Anastasia’s applicator has longer bristles that I feel get a little deeper down into the hairs than Essence. Essence does have larger applicator though, making it a bit quicker to sweep over all the brows, the only thing is it can get messy because it covers a larger surface. Anastasia does a great job of litterly glueing my brows in place, a down side is that they make them feel pretty hard so it really doesn’t work for a natural look and that’s where I feel Essence looks a bit better. I like that my brows look in place but still soft to the touch. With Anastasia, the hold is so strong that I can actually feel the product on my brows. With Essence it hardly feels like there’s anything. The downside with Essence is that if I put too much my brows feel a bit wet, so if I put brow powder on first I feel it just wipes the product away. I need to put the gel on first then go in with powder which can make the application difficult. I’ve had to switch to brow pencils when using Essence. That isn’t the case with Anastasia, just the right amount of product goes on my brows and it doesn’t matter if I put powder or pencil before or after, it still comes out the same. Essence easily comes off whenever I wash my face and I don’t feel any residue. Anastasia, however, can feel like the gel needs some remover and a little rubbing. I wore the Anastia yesterday and I still feel like it’s holding my brows in place. That could be a good thing if I really wanted perfect brows all the time, and I do, so it’s ok just that it still feels heavy on my brows and thinking about it now as I type makes me more aware of my brows and I keep rubbing them. Not an issue I have with Essence. I really do love Anastasia’s Brow Gel because like I mentioned before, I have curly brows that I need held down. This is why I’d go with Anastasia, but honestly for the price Essence does get the job done. I guess it really depends on whether my brows want to cooperate that day or not haha! So what do you think? Any brow gel you’ve been liking lately? I don’t use brow gels because I have sparse brows but I tried the clear Maybelline mascara a long time ago and it made brows feel crunchy. I mostly like pencils and powders to fill in the brows to make them look fuller. 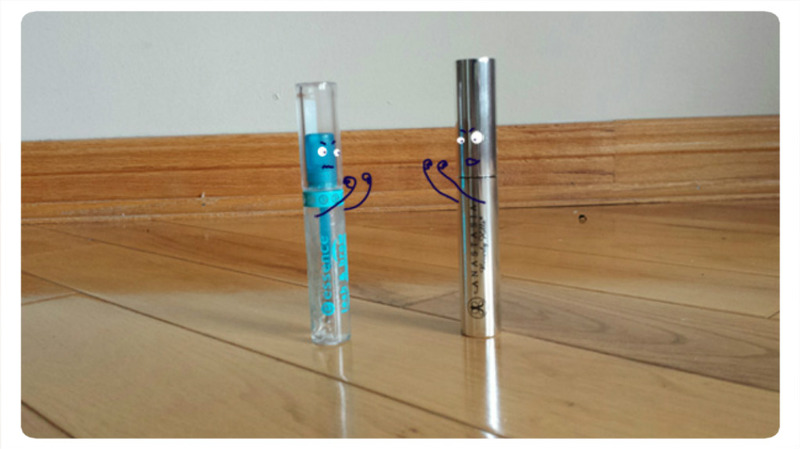 Great comparison – Essence is such a great brand! Thanks! I feel like Essence has a lot of great stuff that can be compared to top beauty brands. I don’t think you’d like Anastasia bc it makes my brows feel just like Maybelline did to yours (but I need it stick my brows together) haha! Thanks! I wanted to make it more fun! I love Essence too! Considering the price, the quality is still very good. Anastasia makes the best brow gels! I especially like the tinted ones so I can do my brows in 1 step! It is easier to control than you would think! Have a great day!